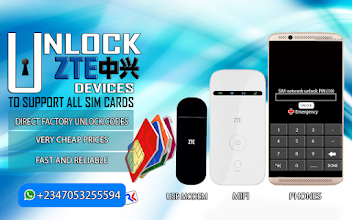 Download TECNO android smart phones Stock ROMs (firmwares). i love your work bro. keep it up. I need the Tecno s3+ firmware too. Will tecno s3 firmware work on s3+ device? Thanks in anticipation of your help! Hi dieudonne pls. can you help me out with Tecno m6 stock rom.? I flash my tecno m6 with and got stock on animation logo..:-? rom lollipop for tecno j7 boom please ! Thanks alot brother kalh wii for the share but my tecno cannot boot into CWM recovery and i just dnt knw why. I tried using power plus up or down key but that stub burn phone will only show tecno logo and stuck there until i pull out battery. Pls do i have any hope unbricking it bcoz i use incorrect rom that is wat cause the problem thanks once again. if its an MTK phone, do normal factory reset from recovery. You are a Genius,may God lift your hand for a great success. thanx alot for hardwork! please help me tecno j7! My Google drive cloud storage is filled up an i'm working on that. after flashing tecno 7c the imei became invalid, is the problem from the rom ? Yes I know. I will move the file to google drive soon. have u got tecno H7S single sim ROM? Wow this stuff it's working perfetly well and also without stress to download nice work........keep it up. You will need a custom recovery if you want to add a different based ROM on your phone. Ehh broda... I swear, it's a good work you are doing here. God bless you o. I wished to open a blog like this and let people download too. It's awesome. What is the password for Tecno P6 stock rom? Hi guys. I get DRAM error 4032 after initial flashing using sp flash tools and my Tecno Boom J7 stays bricked. I have successfully installed MTK USB drivers and its detected. I have tried different versions of sp flah tools and all errors suggest wrong stock ROM used. Ofcourse it doesn't boot to recovery mode as it's dead. Please advice. admin! pls dis tecno p5 file is it lolipop? how can i get a custom or stock rom for tecno h6 ..i accentally flashed the wrong rom now am stuck. Tking pls help me. the rom i flashed in my phone is making my phone discharge whenenver i plug in to charge.pls help me cause right now my phone is useless. pls is the upgrade for camon c8 to mashmallow not yet out, i learn its coming out this February. Hi my techno H6 keeps restarting and wont detect on pc. How do i flash it? Is the USB port of your phone OK?? Please do you work on Huawei stock rom? for now mtkdroid tools does not surport d newly version of tecno, L8, W4 and J8, u need maracle box to get dere firmware and flash with miraclebox!! Thanks bro for a good work. My tecno camon does not have the move to sd option any idea how i can fix it. Pls how can you with my tecno 7cpro, it can't load again after i updated it pls i need your help. I would appreciate it if you guys can include tecno droipad 7c pro stockrom. Good work.